At first glance, the concept of using stickers may appear identical to tapping on an icon, but the reality is there are some important distinctions. Stickers are designed to blend in with HTC’s custom wallpapers, so that it does not appear immediately obvious they offer any particular function. For instance, star constellations could be added to the wallpaper that depicts the night sky, or a hot air balloon could be placed on a wallpaper showing a more traditional landscape. 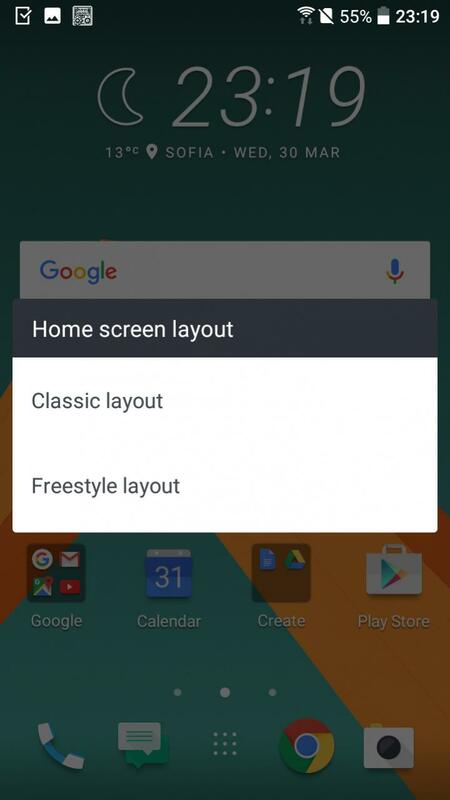 As far as Android Wafer is concerned, there appears to be a few central benefits to Freestyle layouts. The main advantages are that the feature will offer increased personalisation, as well as adding a little fun when it comes to customising a device. And what is not to like there? In addition, using Freestyle layouts, along with stickers, will also offer a little extra privacy. Should someone leave their phone unattended for a short while, the home screen will not make it immediately obvious to anyone else what kind of apps and activities the device is used for. And Freestyle layouts could also make it a little bit more difficult for anyone who fancies spending a few seconds skimming through text messages and emails, as a device’s functionality will be less obvious (at least to non-HTC owners). Freestyle layouts have been revealed in a pair of tweets by reliable HTC tipster LlabTooFeR. Anyone who wants a more traditional Android home screen set-up does not need to worry, though, as another image from Sense 8.0, posted over on HDblog.it, shows that it should be possible to switch to a more conventional layout. It is likely that Freestyle layouts will be available on the HTC 10 smartphone, which is set to be launched on 12 April.